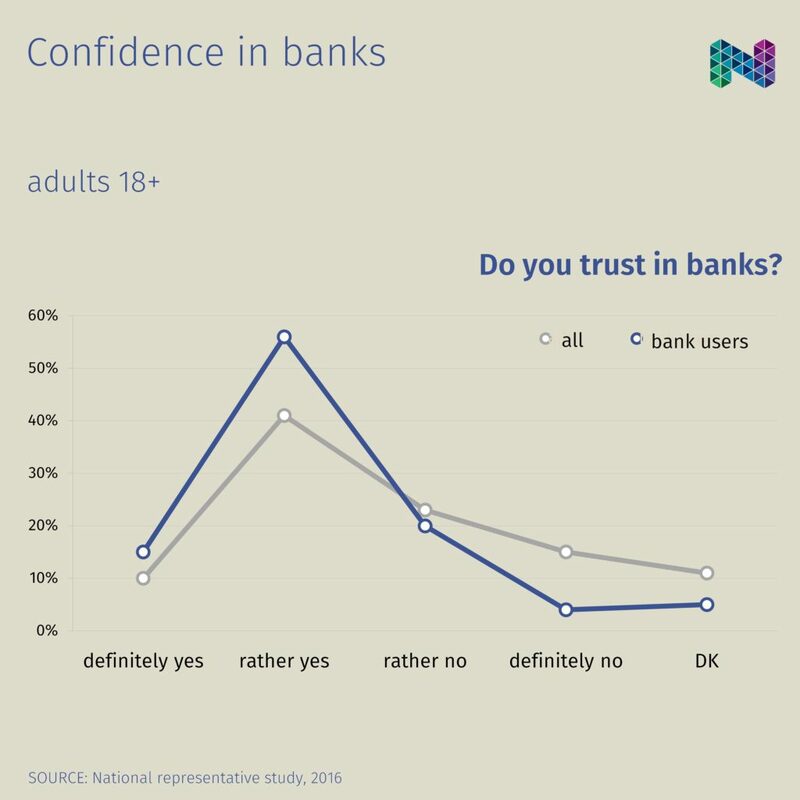 [ finances ] confidence in banks Users of banks demonstrate significantly higher confidence. 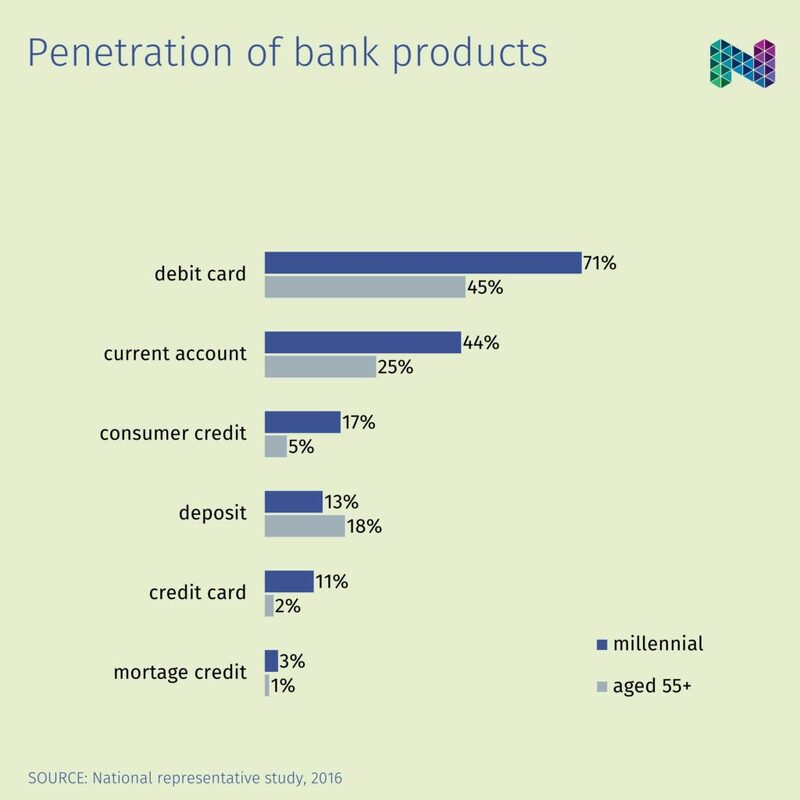 [ finances ] penetration of bank products Compared to the generation 55+, millennial are much more likely to use credit card and consumer credit. Deposit is less common within the same group. 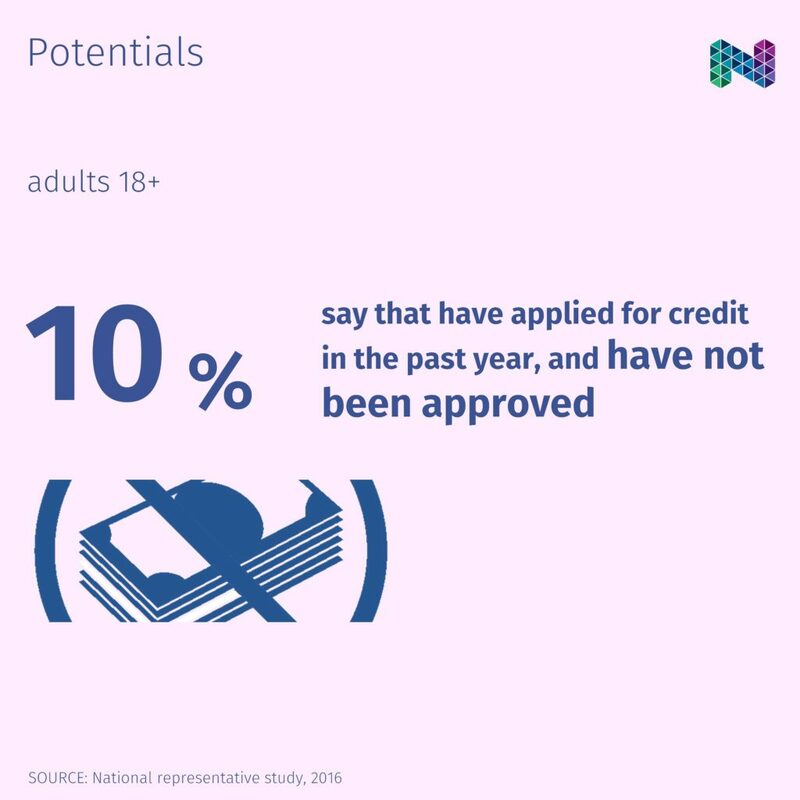 [ finances ] potentials About 430 thousand credit applicants declare that have not been approved in the past year. 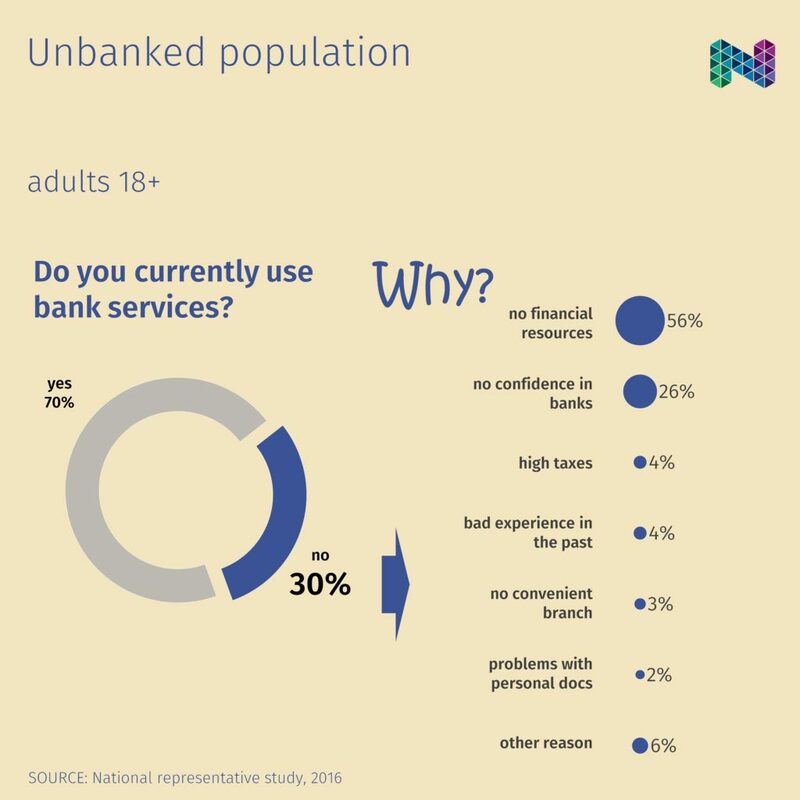 [ finances ] unbanked population 3 out of 10 adults choose not to use bank services. The lack of financial resources is the main reason for such a choice. 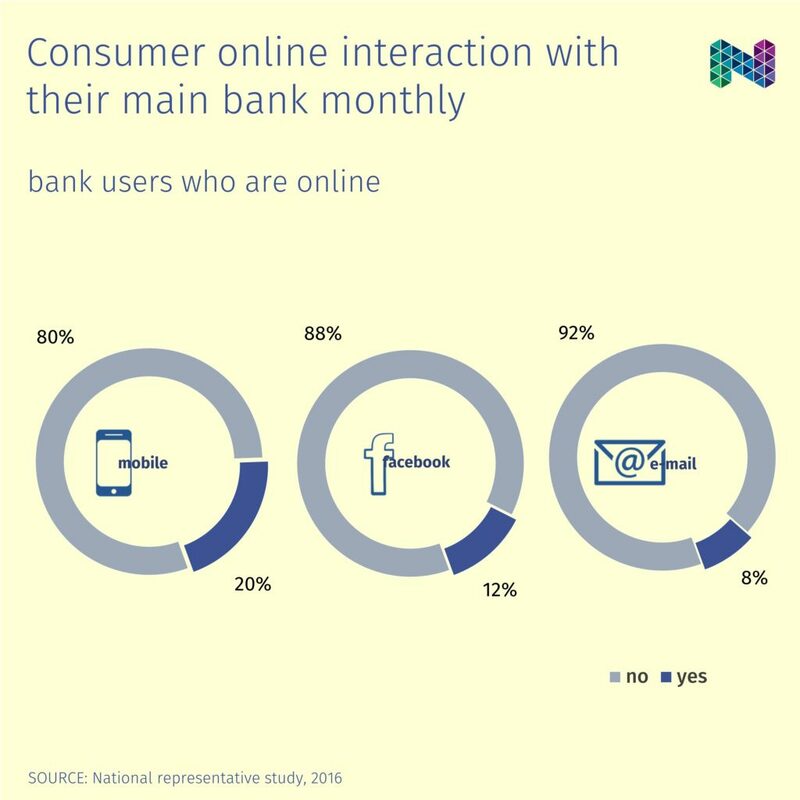 [ finances ] consumer online interaction with their main bank monthly 1 out of 10 consumers interacts with his /her primary bank throughout facebook and/or e-mail. However, this is still less common than using mobile phone for the same purposes. 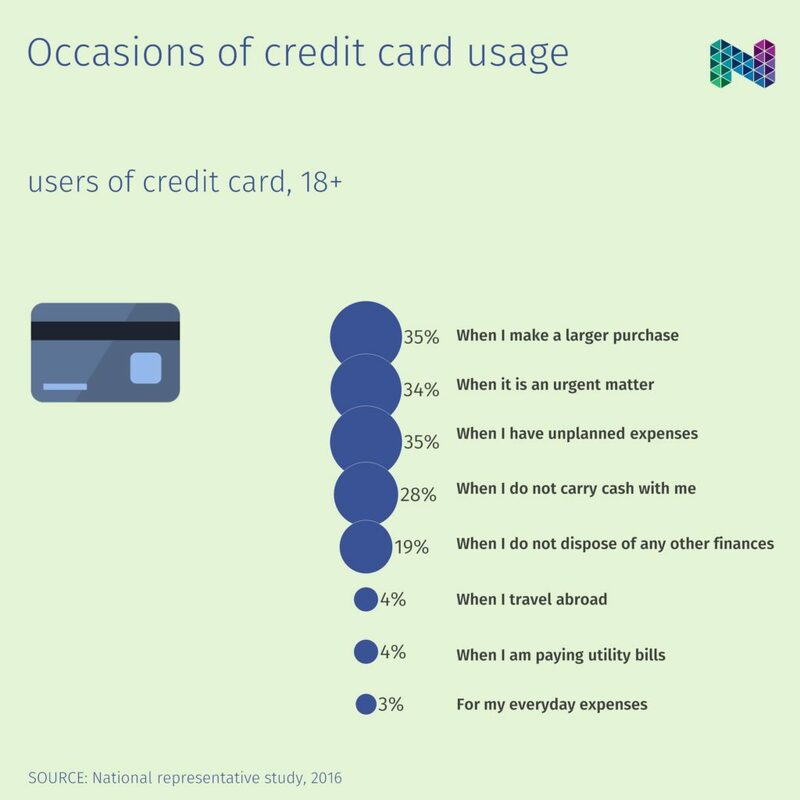 [ finances ] occasions of credit card usage Making larger purchases and urgent, likely unplanned, expenses lead the list with credit card usage occasions. Paying utility bills and everyday expenses are at the list bottom. 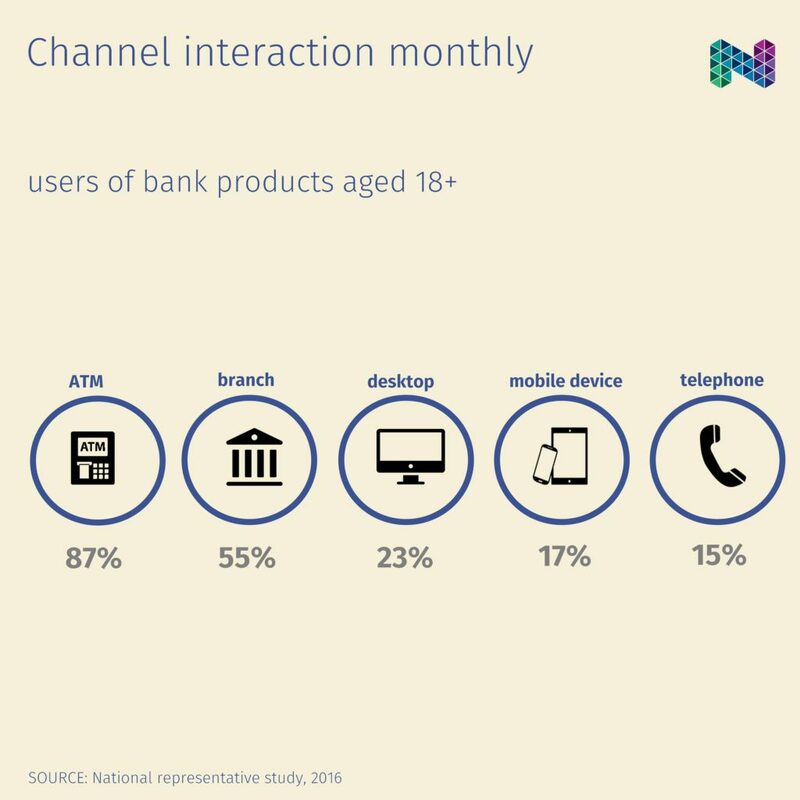 [ finances ] channel interaction monthly Taken together, consumers with bank interactions throughout phone, mobile device and desktop computer do not take as much as the consumers who interact throughout ATM. [ finances ] consumer avg. 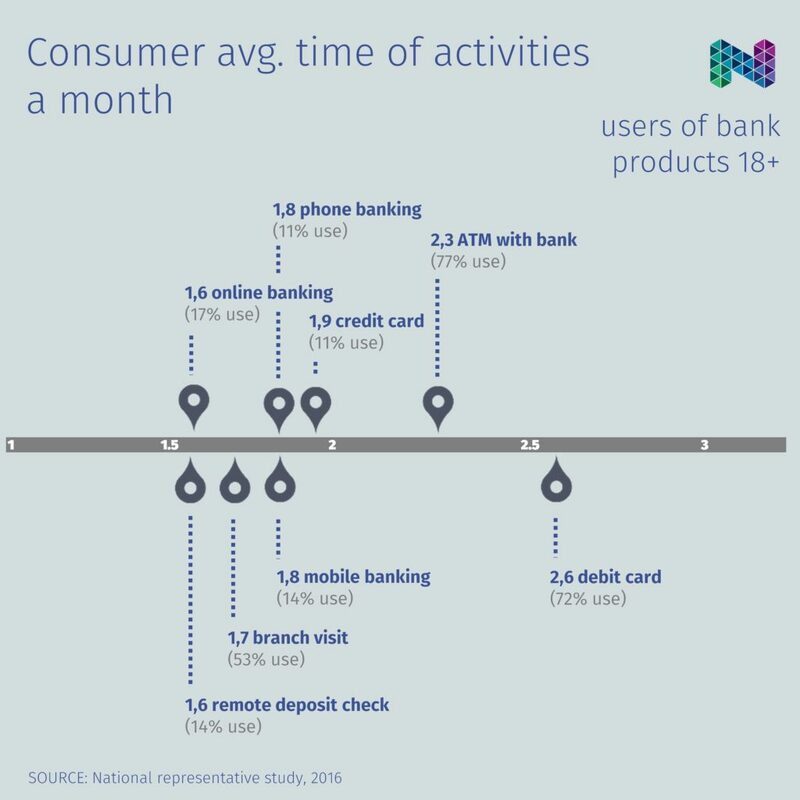 time of activities a month The most frequent consumers’ banking activities are related to debit card: 2.6 times monthly debit card payment and 2.3 times monthly ATM with bank. 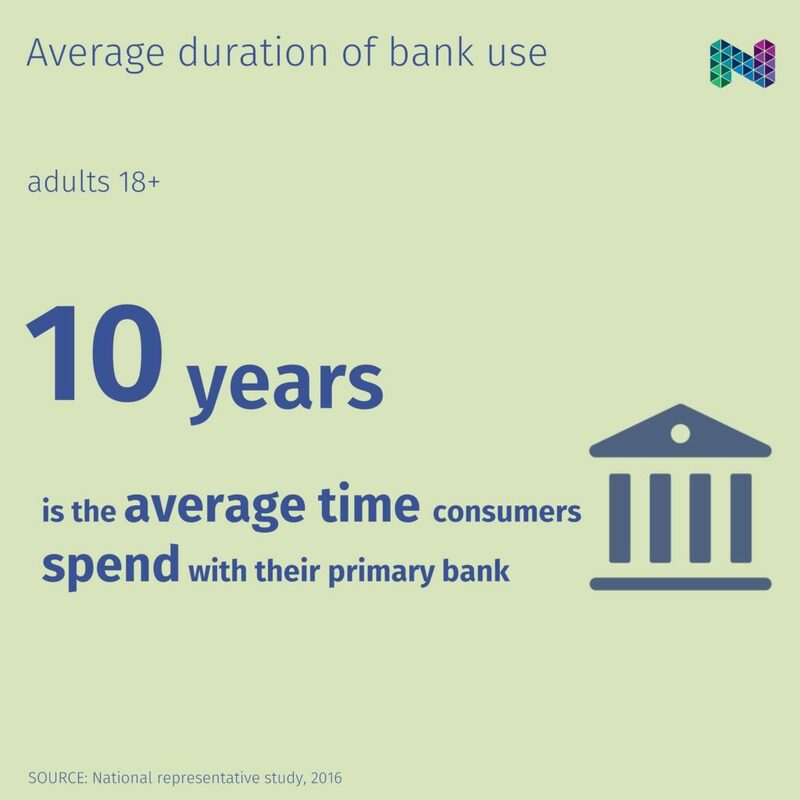 Online banking and remote deposit check […] [ finances ] average duration of bank use In normal circumstances, Bulgaria would have changed two presidents before the average bank user changes his primary bank. 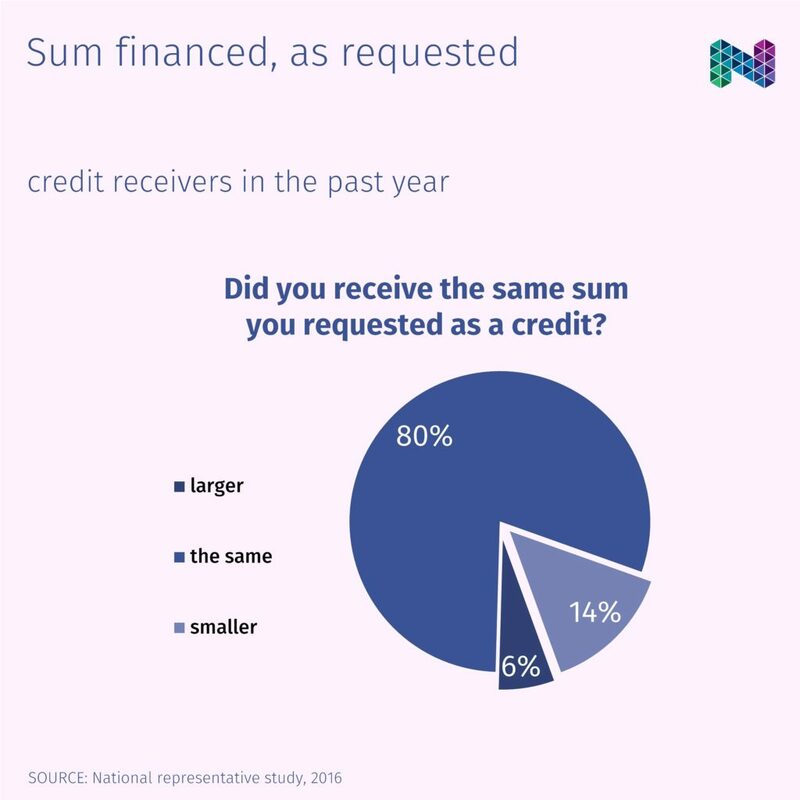 [ finances ] sum financed, as requested 4 out of 5 credit applicants have received the requested sum they applied for (neither lower nor higher). 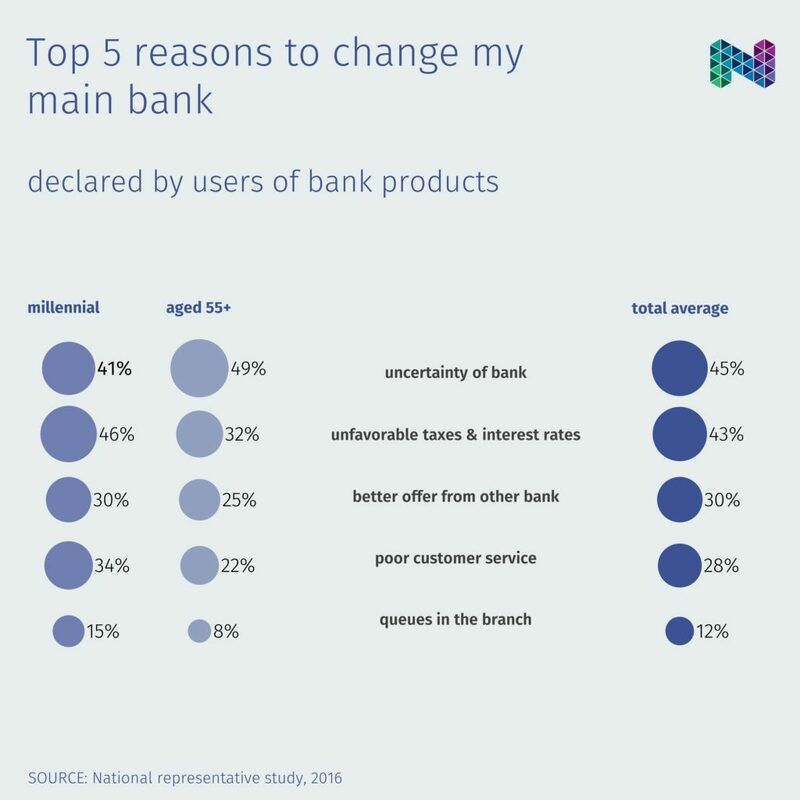 [ finances ] top 5 reasons to change my main bank Millennial (compared to adults aged 55+) are twice as likely to take into account the poor customer service when they consider to change their main bank. 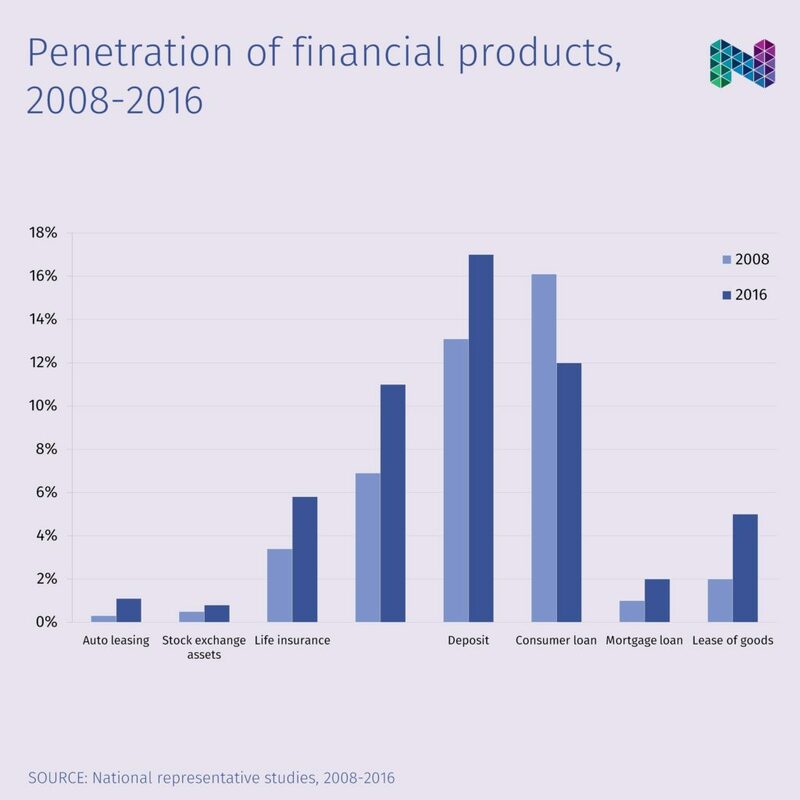 [ finances ] penetration of financial products, 2008-2016 People using lease to purchase goods have significantly increased at the expense of consumer loan users.